TRADITIONS, ART, MUSIC, EVENTS & EXHIBITIONS AGENDA JANUARY 2019 IN BASQUE COUNTRY. The best events for the traveler in January 2019 in the Basque Country in Spain & France, Rioja & Navarra selected by your Basque private tour guide. The Zanpantzar announcing carnival time. In Ituren and Zubieta. In Bilbao. Nativity Scene. Church of San Nicolás. From November 30th until January 7th. In San Sebastian. Monumental Nativity Scene. Plaza Gipuzkoa hosts a traditional nativity scene for more than 50 years, with 152 figures of approximately one meter in height. From December 1st until January 6th. In Bilbao. Christmas Market. Bailén street. From December 1st until January 3rd. In Vitoria-Gasteiz. Monumental Nativity Scene. Popular tradition since 1962. 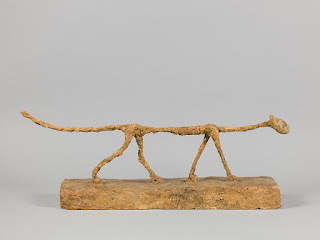 Composed of more than 200 human figures, buildings and hundreds of animals and accessories. Florida Park. From December 5th until January 6th. In Bilbao. GABONART. Christmas Crafts Fair. Exhibition and sale of handicraft products. Arriaga Theater Square.From December 14th to January 6th. 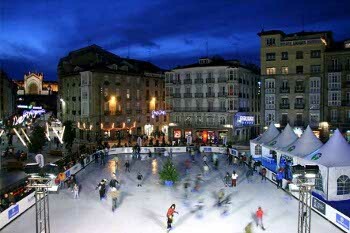 In Vitoria-Gasteiz. Christmas Craft Fair 'Lan ta lan'. Province Square. From December 15th to January 6th. In Bilbao. Children's Christmas Park. Bilbao Exhibition Center. Pavilions 3 and 5. From December 19th to January 5th. Closed: December 25th and January 1st. In Saint Jean de Luz. Christmas 2018: Ultra Park. Urdazuri Gymnasium. From December 23rd until January 5th. In Irun. PIN! PAN! PUN! Children's Christmas Park. FICOBA. From December 26th to January 4th. In Vitoria-Gasteiz. Children's Christmas Park. Wide range of activities to enjoy in family, especially for the children of the house. Hegoalde Civic Center. From December 26th to January 4th. In Bilbao. New Year's Eve Bilbao Hello 2019! Options that are held in hotels or clubs in the city, for example: Jazz-Bar Mercado la Ribera, BUDHA, Kafe Antzokia, Hotel Carlton, Hotel Gran Domine Bilbao, Hotel Barceló Bilbao Nervio, Hotel Meliá Bilbao, Hotel Conde Duque and the Grand Hotel Puente Colgante. Night of December 31st. In Vitoria-Gasteiz, Bilbao and San Sebastian. Cavalcade of Kings. January 5th and 6th. In Astigarraga. Start of the season of the Basque Cider. The main area in the Basque Country is in Astigarraga (near San Sebastián). There are some 51 Basque cider houses in Guipúzcoa, 10 in Vizcaya and 2 in Alava. Around January 15th. In Bilbao. An Ode to Time. María Pagés Company. A flamenco choreography about the ephemeral, permanence and eternity, in which, incorporating reflections of Plato, Marguerite Yourcenar, Jorge Luis Borges, John Cage, Octavio Paz, Heidegger, Marcel Duchamps, Pablo Neruda ... María Pagés reflects on the implacable irreversibility of time on the body, desire, art and life. Dance of 4 dancers, 4 dancers and 7 live musicians. Arriaga Theater January 18th and 19th. In Mungia and Amurrio. San Antón Fair. Morcillas and Chorizos Contest, ball games. and sale of products of the hamlet, kitchen utensils, trees and plants of all kinds. From January 18th to 22th. 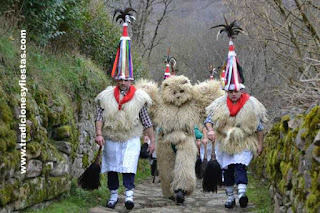 In San Sebastian, Tafalla and Azpeitia. The most popular festivity of San Sebastian, the Drum Festival "Danborrada". The city is filled with drums, barrels, parades, colour, music & food! in honour to the local saint (Saint Sebastian). A true local festival loved by locals and only enjoyed by locals as the best part happens during the night of 19th January (starting at 8pm and with the raise of the local flag on the midnight of 19th to 20th that will wave in the Constitution Square until the midnight of 20th to 21st). January 19th and 20th. In Laguardia, Rioja Alavesa. A bonus representation of the unusual Barroque nativity scene with movement that they normally perform on Christmas. On Saturday 26th January at 18:30. In Ituren and Zubieta (Navarre). One of the most interesting local festivals takes place with the Zanpantzar announcing carnival time. On January 28th and 29th. In Laudio/Llodio. San Blas Festival. Exhibition and sale of agricultural and artisan products, rural sports, elaboration of blood sausages, dance and music shows, a tribute to the baserritarras of the area, tasting of chestnuts, burning and scraping the pig, .. and Txarripatas Gastronomic Contest (pig hands). From January 28th until Febrary 3rd. "Alberto Giacometti, Retrospective". Bilbao Guggenheim Museum. In Bilbao. Bilbao Furniture. 2nd Professional Fair of the Habitat of Bizkaia. Bilbao Exhibition Center. From January 24th until 27th. In Bilbao. Concert: Dialogue between Arriaga and Mozart. Two geniuses of music. Chamber concert on the day of birth in 1806 by J. C. Arriaga and Mozart in 1756. Teatro Arriaga. January 27th. In San Sebastian. National Ballet of Spain. A tribute show to Antonio Ruiz Soler, Antonio el Bailarín, in which several of his most emblematic choreographies will be played, for the 20th anniversary of his death. Kursaal Auditorium January 27th. In Bilbao. Exhibition "Architecture Effects". An innovative look between art and architecture; and the connections and correspondences that emerge from them in the digital age. Initiative of the Guggenheim Museum Bilbao and New York. Guggenheim Museum Bilbao. From December 5 to April 28, 2019. In Vitoria-Gasteiz. Christmas ice rink. In Vitoria-Gasteiz. Christmas ice rink. Plaza de la Virgen Blanca. From December 15th to January 6th. In Biarritz. Basque ball in Cesta Punta. Jaï Alaï Center. French Championship. January 3rd.